I love Jalie’s Loulouxe pattern because it’s just do darn cute on. 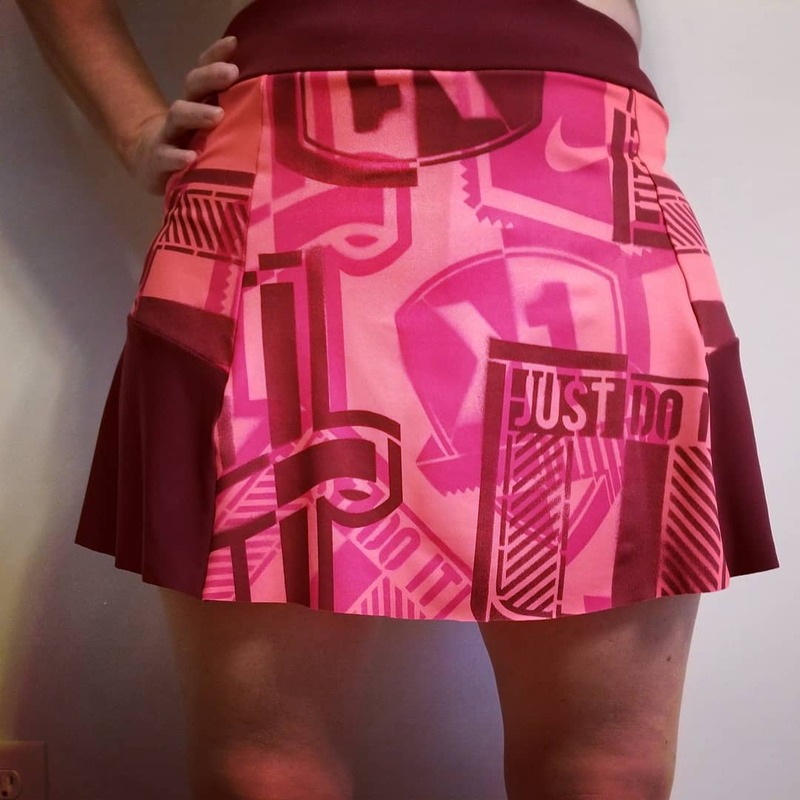 As a bonus, it’s also skort, so you never have to worry about flashing someone when the wind blows or you bend over! But, I find myself not making this pattern as often as I would like because I tend to have a problem finding fabrics that work well together. With that said, I may have made my most favorite Loulouxe ever. 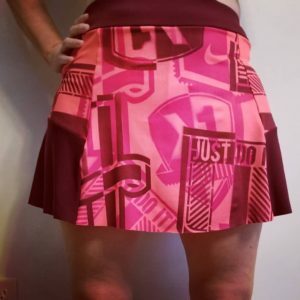 This winter I wound up buying a “Just Do It” performance knit bundle from So Sew English – which came in both a blue and pink colorway. While I knew what I wanted to do with the blue, I was sort of stumped with the pink – I mean I like pink, but it’s very bold (even for me) and sort of the shade of Pepto Bismol (i.e. cute in small doses, but way too much all together). So when I decided to make this pattern again, I pulled out the pink and shockingly found a (very old) matching solid in my stash – fortunately there was enough to make some of the coordinating pieces for the Loulouxe pattern. The rest is history. (I’ll skip the construction and fit since I’ve talked about it before). Now my dilemma is what to wear for a top. The colors aren’t easy to match so I’m going to attempt to squeeze out enough leftover material to make a tank or color blocked shirt. This entry was posted in Uncategorized on July 24, 2018 by stacy.